Indoor kitchens are great but their counterparts, outdoor kitchens have been gaining popularity all over the world for good reasons. Many who have adopted it are those who stay in warmer areas. Preparing food or holding BBQs in the outdoors is something that lots of people cherish to do for their own special reasons. Many even long to make it part of their day to day lives. 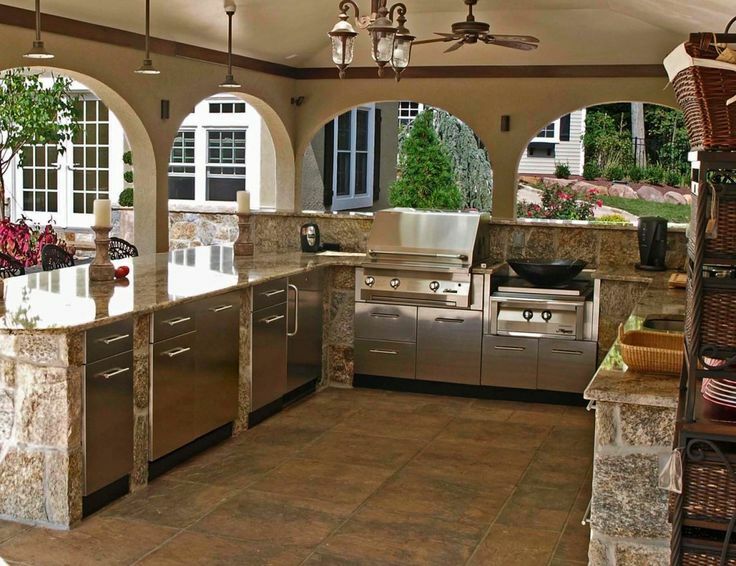 Just like an indoor kitchen, outdoor kitchens also come in different styles and designs. But for you to find a style or design that is perfect for you, there are a few things you should put into consideration. Functionality should come on top of all your considerations. Sinks, grills, and bars should be well organized in a way that leaves you enough room to go about your culinary duties with ease. 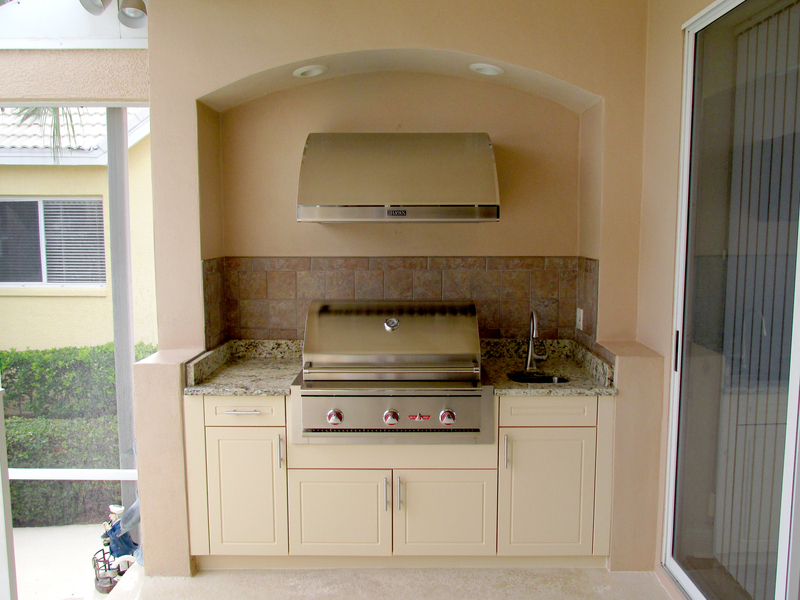 Every part of the outdoor kitchen should be designed with efficacy in mind. 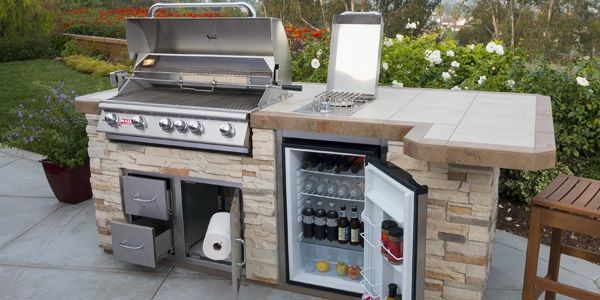 More often you will want your outdoor kitchen to be located close to the indoor kitchen so that you will have easy access to items. But if you decide to have it set up far away from the indoor kitchen, ensure the place where you store the frequently used items sits close to it. If your budget allows, you could as well add items such as dishwashers or refrigerators just so that you don’t depend elsewhere for the help they offer. Ensure the climate in your area will be friendly to them. Outdoor kitchens could cost as low as $3000 or even as high as $16000. Setting your budget will help you to narrow down on the kitchen that fits you well. If your budget is at the bottom end, more attention will be towards creating a kitchen that is first of all functional before considering other aspects of style. However, if you can afford more than that, then you will have the options to choose different styling options, additional items you want to be installed and a lot more. Many people prefer to have their backyard decks or patio acting as the foundation. But if you lack any of those, you could as well pick another location for that provided it’s close to the house. Also, put into consideration the grill location as well as the wind direction. 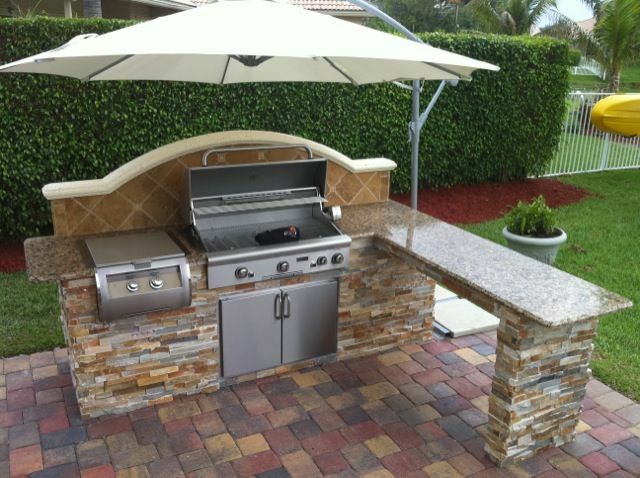 First of all, ensure your outdoor kitchen matches well with your patio or backyard landscape. If the kitchen fits in well with the surrounding, this will be sure to add value to your property. Each of these designs has its own unique styling. Take the L-shaped, for instance. It will have different spaces for different activities. You could have one space for preparing food and another for cooking it. The u-shaped, on the other hand, allocates space to each section i.e. eating zone, cookingzone, food preparation zone and so on. As for the basic island, it’s all about simplicity: a sink, grill and perhaps a space to prepare food. Besides these three, there’s plenty of room for those who wish to have their own customized designs. This will depend on a couple of factors starting from the design of your house all the way to the shape, the surroundings and so on. You can then add accessories and plenty of other things that will suit your taste and needs. With the help of seasoned kitchen experts, you can turn your dream kitchen into reality. At Soleic Outdoor Kitchens, we have a team of competent designers and other kitchen specialists who will work alongside you to make your dreams come true. Give us a call today to for more info and a free quote.